Gibraltar is a very small country, a little over two square miles, located at the southern end of the Iberian Peninsula at the beginning of the Mediterranean Sea. It has many attractions despite its small size, but none are more famous nor loom as large, both literally and figuratively, than the Rock of Gibraltar. The Rock of Gibraltar is a monolithic limestone promontory, which basically means it is a big slanting piece of land. It is one of the Pillars of Hercules, denoted as such because it was one of the promontories at flank the entrance to the Strait of Gibraltar. It stands 1,398 feet tall and is a part of the Betic Cordillera mountain range. When one stands atop the Rock you can see the African coastline if you look towards the south, while the heart of the Mediterranean ocean awaits your visage if you stare eastward. While Gibraltar is these days known as a tourist destination, it was a key battleground in the second world war. Indeed, it was because of Winston Churchill’s concern that the Axis forces would launch an attack on the territory in 1940 that he ordered a large network of underground tunnels to be constructed. Created by the Royal Engineers, this system of caverns expanded the Great Siege Tunnels that were excavated while Gibraltar was under siege between 1779 and 1783. With more than 32 miles of tunnels to explore, embarking on one of the many guided tours offered will give you an insight into the lives of both soldiers and locals during World War II. Sticking underground anyone who visits here should check out St. Michael’s cave! It has been visited for thousands of years as a point of interest because it was believed to be bottomless and rumored to be connected to the continent of Africa by a subterranean passage of some length, which also was used to explain where the apes came from. The Mediterranean Steps - The pathway climbs the limestone cliffs of the Rock of Gibraltar, right to the summit, a spot which provides amazing views across the sea and the mountainous landscape of North Africa. 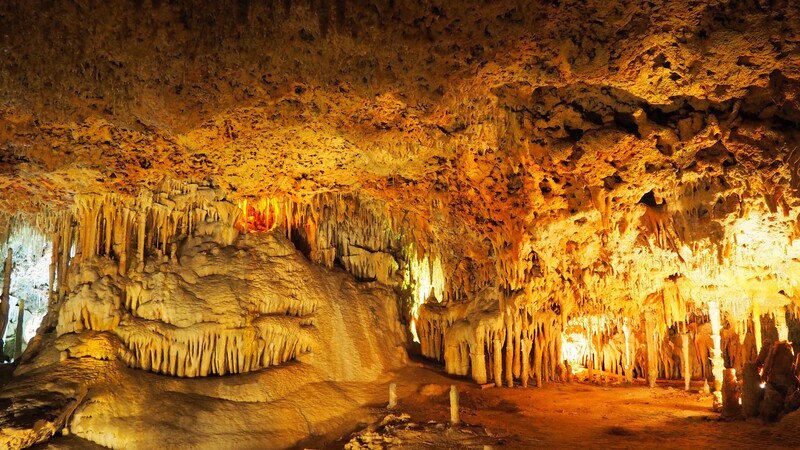 St. Michael’s Cave - This collection of limestone caves, also within the Upper Rock Nature Reserve, is located 300 meters above sea level, a real treat for those of you looking to explore a natural wonder. 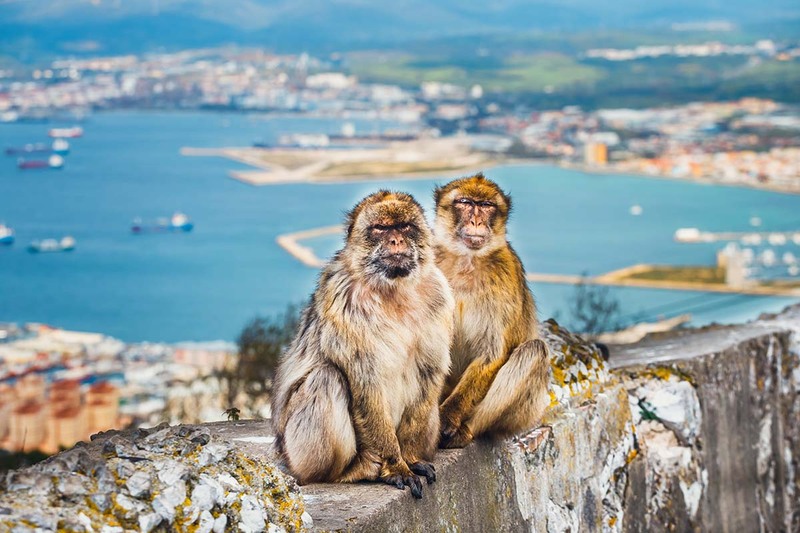 Apes Den - Gibraltar is home to Barbary Macaques, who inhabit the Mediterranean Steps and much of the Upper Rock Nature Reserve. These monkeys are always up for posing too, and are often the star of many tourists’ photos - so make sure you get the perfect holiday snap! 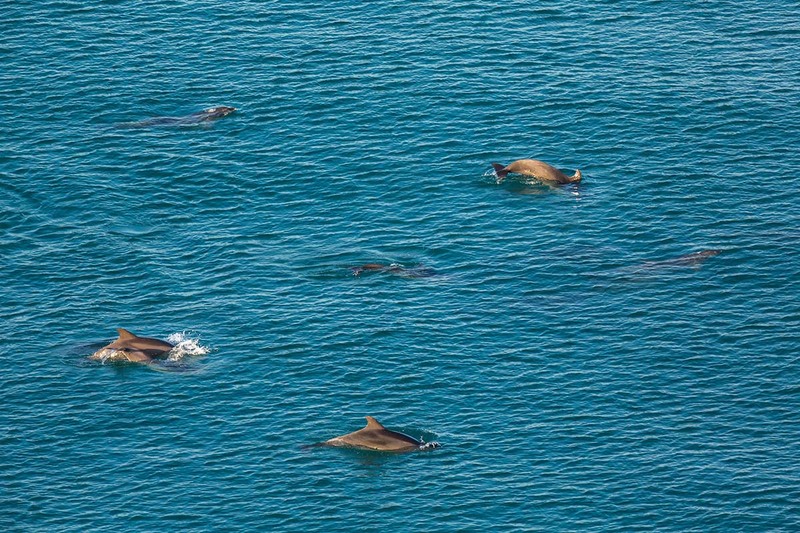 Wild Dolphins - Book a dolphin safari and sail through the water to spot these enigmatic creatures interact with each other in and above water. It's up there as one of the best trips ever. Thanks!